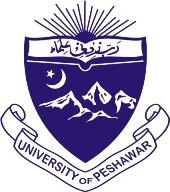 Founded in 1950, the University of Peshawar (UPesh) is one of the oldest and prestigious higher learning institutes in Pakistan which has played a vital role in higher education of the company since its establishment. After performing extremely well and achieving many milestones, the University of Peshawar has now achieved a rank among the top universities in the country as UPesh now has been named the 4th top university in “general category” by Higher Education Commission of Pakistan (HEC). The University of Peshawar is currently offering admission in various undergraduate, post-graduate and doctoral programs in different fields such as Arts, Humanities, Management, Social Sciences and Philosophy etc. Due to its strong positive reputation, a number of colleges are also affiliated with the university and about 14,000 students are currently enrolled in different programs of UPesh. If you are interested in seeking admission in University of Peshawar, you can do so by going through a specific admission procedure. The procedure includes the steps of application form submission and written test/interview. Every candidate must pass the written test along with fulfilling other requirements related to eligibility in order to secure admission in UPesh. The written test has a quite high percentage in the calculation of final weightage which makes it extremely important for all candidates to pass the test with high grades. So in order to help our visitors in doing so, we have provided free online tests of different subjects including English, Chemistry, Computer, Mathematics and Physics above on this page. By attempting these tests, you can evaluate your current level of preparation for the written entry test along with highlight the areas which require further improvement.